Hope College's spring break immersion trip to Orlando that Joel Boersma was the adult mentor for. The latest look in the sanctuary! A late September day, featuring the new hole they are digging! The old Pillar office space wall is coming down! 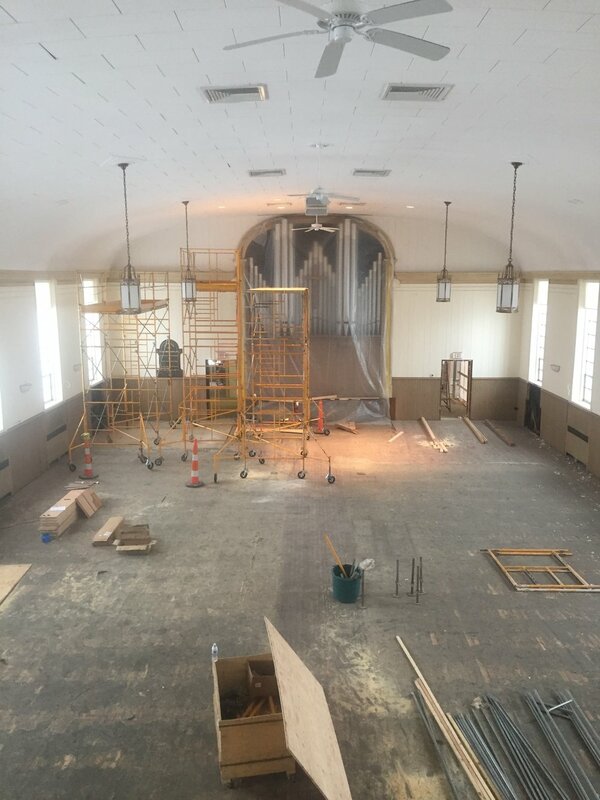 The sanctuary towards the beginning of demolition. The first of the many Adirondack chairs making their spring time appearance on the Pillar lawn! Pillar Music & Wendell Kimbrough preforming on tour. Sunday service at 10:30AM in Dimnent Chapel! A late September construction scene! Kick-Off event for the Revelation Project consisting of friends, food and creative exploration of the book of Revelation. Pillar Service on the lawn in late Summer! The welcome back tent for all of the incoming Hope Freshmen this past August. Downtown Holland as the season of Autumn Approaches. Pillar Worship Team preparing for service on the lawn.